We've decided to have a small update for Easter with some limited edition content and events. There's an easter egg hunt event, alongside new boss, tags, kits and packages for Easter. We'll perhaps be doing some giveaways over the weekend too! We're hosting our own Easter Egg hunt! 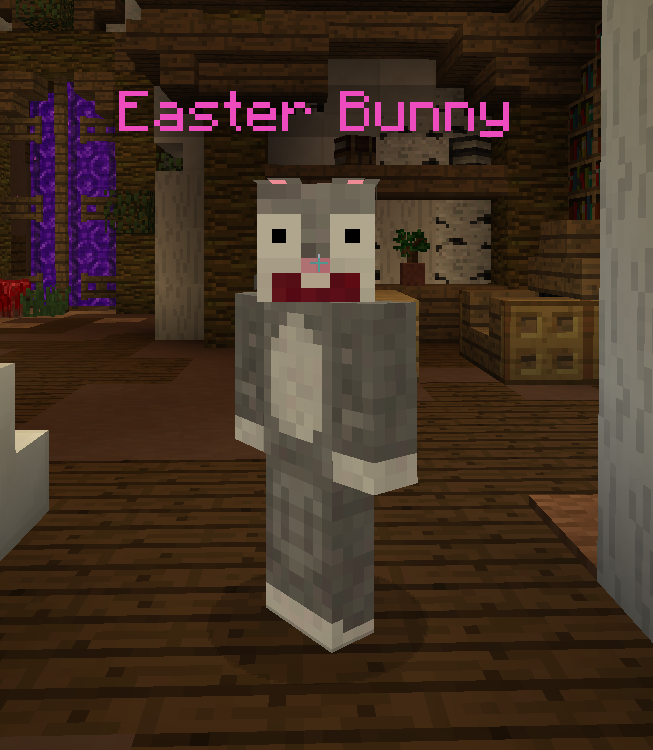 Across all the realms, the Easter Bunny has visited spawn! You can talk to the Easter Bunny to find out more about his hunt and how to participate. In spawns, you'll find easter eggs scattered around the place. 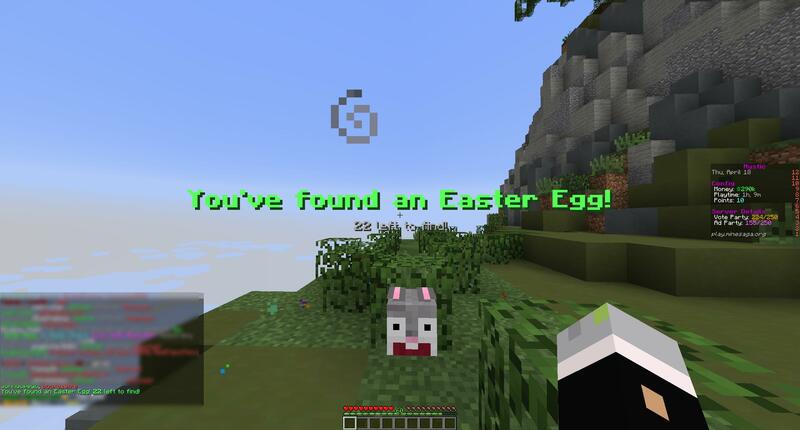 You simply need to punch on all of the eggs to get access to the limited edition Easter2019 tag! This tag will only be available to those who complete the egg hunt! We've decided to implement a limited edition Boss for the Easter update called the Evil Bunny! This boss will drop a variety of rewards and will work like other bosses. It will attack users and run away from enemies. You can purchase the Easter Bunny for $4.50 on our store. Click here to visit the category. This kit costs $10 and can be purchased by visiting the category linked. Click here to visit the category. As previously mentioned, we've introduced limited edition packages and tags. The package introduced contains a mixture of rewards and the tags introduced are Easter2019, Bunny and Egged. You can click here to visit the category to purchase packages.